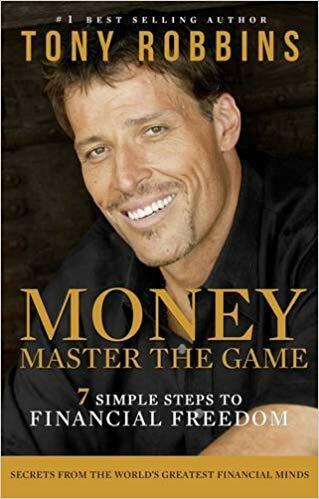 The best book on personal finance I’ve read. Particularly important is the “goal setting” so you know how much money you’re really shooting for. Mutual funds and institutional investing = bad. Step 3: What’s the price of your dreams? Mortgage, utilities, insurance, food, transportation, all covered for the rest of your life.Calculate the cost of those things per month, multiply it by 12 to get your annual “Secure” income. That’s your “financial security” income, and the first dream is to save enough money to cover that. What’s the cost of your complete lifestyle right now? That’s how much you need to be bringing in to be completely financially independent.To get an idea of how much an amount of income needs to be saved for, multiple it by 20. So if you spend $100,000 a year, you need to save 2,000,000. The cost of the lifestyle you want and deserve, above and beyond what you’re at right now. Pick three things to start.Figure out whatever else you want and the annual cost of it, and add that amount to your current annual total. Anything you want any time you want it, never worry about money again“You don’t have to own the jet to have the lifestyle. You don’t have to own the sports team to sit in the sky box. And you don’t have to pay for the whole team to be an owner— you can be a partial owner and get all the privileges.”Write down everything you would want on this list, and figure out the cost of it. Save more and invest the difference. Find big areas of spending you can cut back on to speed up your plan. Earn more and invest the difference. Make a rule to invest more of your income as it increases. Asset allocation is everything! So you want to diversify between your Security Bucket and your Risk/ Growth Bucket. You want to diversify across asset classes, markets, and time. You don’t want to hesitate to get in the market trying to have perfect timing; instead, use dollar-cost averaging and know that volatility can be your friend, providing opportunities to buy investments cheaply when the market is down. This technique will increase your portfolio’s value when the markets come back up. Have a Dream Bucket that gives you emotional juice and excitement so you can experience the benefits of your investing prowess in the short term and midterm instead of just someday far in the future. 30% in stocks (for instance, the S& P 500 or other indexes for further diversification in this basket). Forty percent in long-term bonds [20- to 25-year Treasuries]. 7.5% in gold and 7.5% in commodities. You’re never done. Keep learning, saving.